What child does not love to receive mail? What if that child could receive, open and read his or her own personal mail from God? The Little Love Letters from God board book will invite them to do just that! Accompanying each of the eight rhyming stories in this unique children's Bible is a very special and encouraging letter tucked away in its own lift-the-flap envelope. 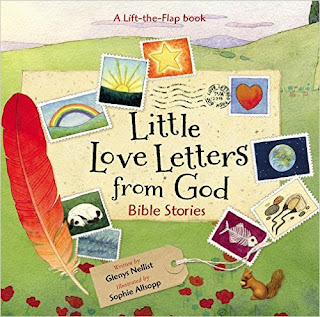 With a padded cover for little hands, Little Love Letters from God introduces children to God's Word with eight of the most popular Bible stories--including creation, Noah's ark, the birth of Jesus and more. Following each story the child will find his or her own letter from God. Children will love the excitement of opening the letters and parents will love how each letter elaborates on the Bible story being told. A very special Bible verse, entitled God's Wonderful Words To You will accompany each story and letter. Much more than a mere memory verse, each carefully chosen promise will be God's very own personal words of love, encouragement, and hope. Little Love Letters from God is the second book in the popular Love Letters series. Little Love Letters from God by Glenys Nellist is a wonderful book for kids! 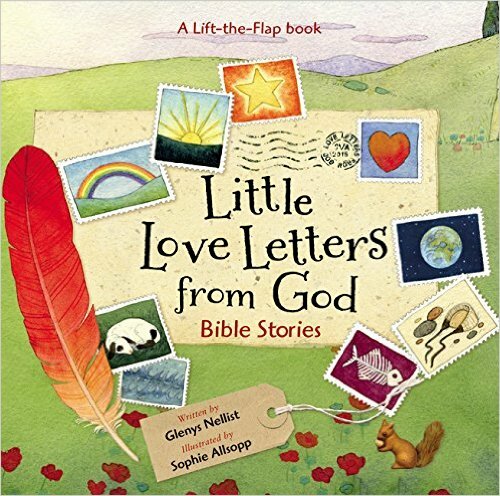 Little Love Letters from God contains eight of the most popular Bible stories. They include creation, Noah's ark, the birth of Jesus and more. Each story is told in rhyme and beautifully illustrated. I absolutely love the little letters tucked into their very own little envelopes. Each letter elaborates on the Bible story being told which is a perfect way to help little ones remember the stories. My daughters ask to read this book all the time and love reading the letter included with the book. Little Love Letters from God is such a fun book and would make the perfect gift for little ones! You can find Little Love Letters from God by Glenys Nellist on Amazon, Barnes and Noble and other bookstores. Bless you for this wonderful review! I so appreciate it!